We’ve all noticed bad wire work in films. People stay in the air too long after an impact or jerk suddenly in an odd direction. Even when they are actually meant to fly, like in ‘crouching tiger hidden dragon’ things look a little off..they look held up or pulled by and unseen force? This is because our eyes and reflexes are hardwired into the real world. For instance, Johnny throws you a ball from 50 meters away. Almost instantly you predict its trajectory position yourself to catch it. it’s incredible, all this calculated and acted on in a matter of seconds. At the heart of this is ballistics… and guess what? 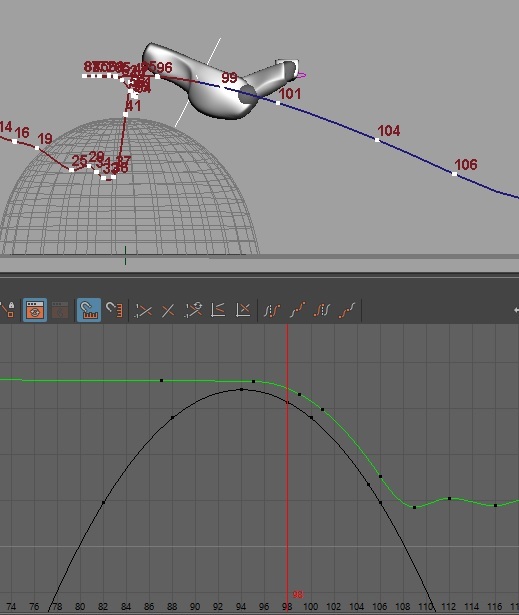 You can see it all in your animation curves! 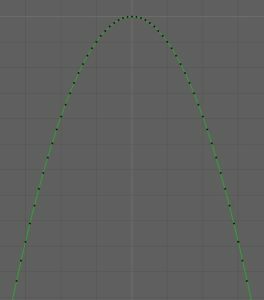 Gravity is a known and definable force you can easily identify and apply to your animation curves. Once, I was animating a knife falling and my Supe gave a note that it was falling too fast, like it was getting sucked towards ground. As animators we can play with physics.. but if we want things to look realistic we have to follow some rules. Which lucky for us smart people have already worked out! Note: This curve does not take into account wind resistance. 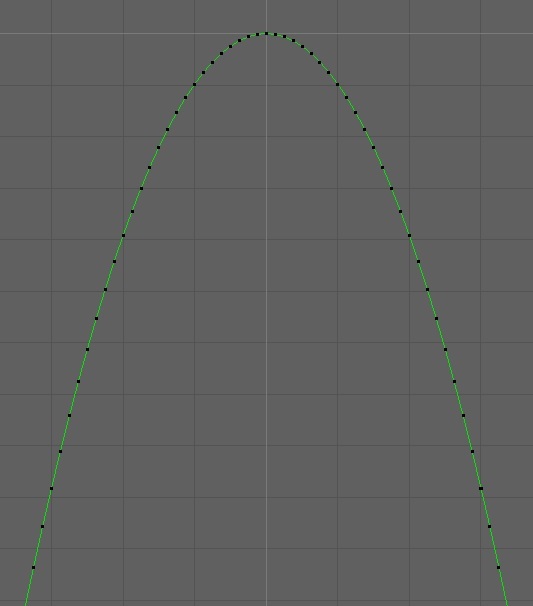 You can use this curve to reference or base your animation in reality. 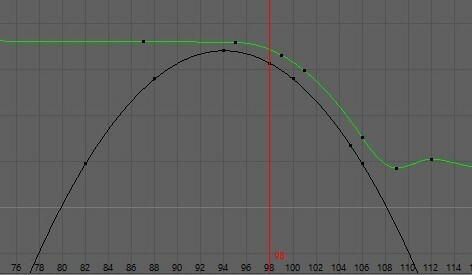 The black line is the gravity curve used for reference in my green animation curve. 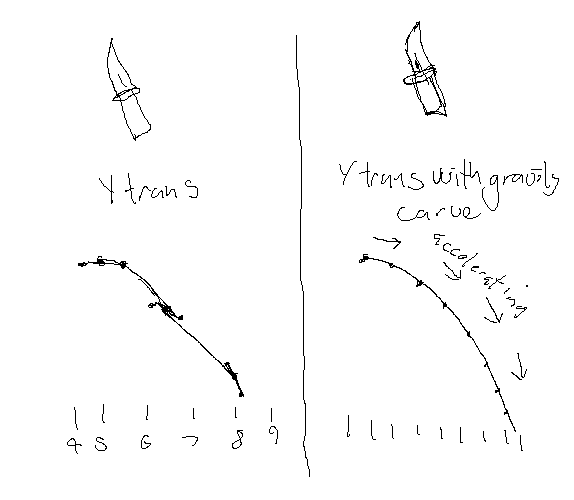 Things to note when applying gravity to your animation.